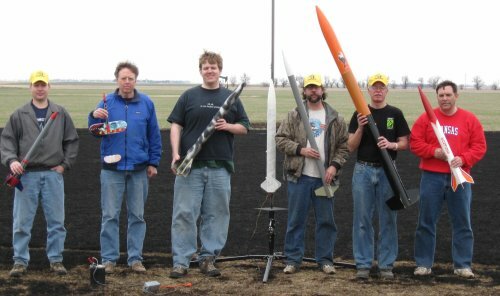 The Kansas Organization for Spacemodeling (KOSMO) is a chartered Section of the National Association of Rocketry (NAR). KOSMO was officially organized in 1980 and became NAR Section #427 in 1981. KOSMO is made up of a group of families and individuals that share a common interest in model rocketry. We welcome all ages and all levels of experience and skill. Our primary activities include six or seven scheduled rocket launches and a business meeting each year. Several of these launches include FAA waivers, allowing for flights of high powered rockets. In June we host the Kansas Rocket Aero Modeler's Open (KRAMO), a NAR sanctioned open/regional meet competition. Several members of the club are also involved in supporting local 4-H rocketry programs. All events are designed to provide a social atmosphere to encourage building friendships and learning from each other's experiences. 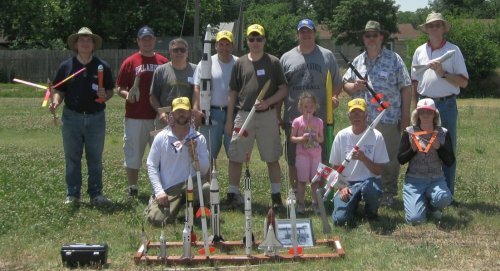 If you have an interest in model or high powered rocketry, we welcome you to join us for a launch or become a club member. Please look around our web site and contact us if you have any questions.